SAUDI ARABIA Tuesday said it opposed the US decision to relocate its Israel embassy from Tel Aviv to Jerusalem. In a call to the Palestinian President Mahmoud Abbas late on Tuesday, the king condemned the brutal aggression against unarmed civilians and prayed for those killed and wished a speedy recovery for the injured. King Salman also reiterated the Kingdom’s support for the restoration of the legitimate rights of the people of Palestine in accordance with the resolutions of international legitimacy and the Arab peace initiative. The Kingdom has called for a an emergency meeting of foreign ministers of Arab League member states to unite efforts and take urgent measures to protect the Palestinian people. 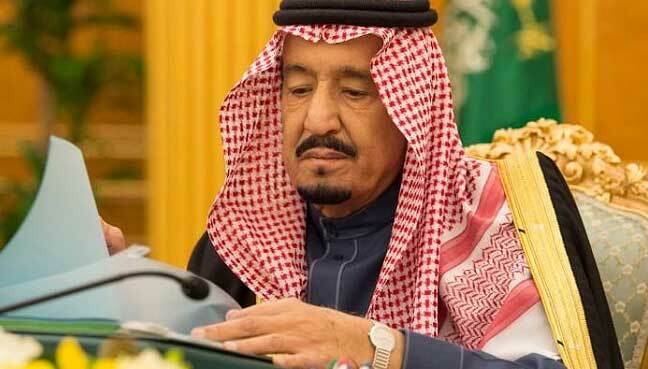 The government meeting led by King Salman reiterated Riyadh’s condemnation of Israeli gunfire that killed dozens of Palestinians along the Gaza Strip border on Monday. The Cabinet also condemned the Israeli army’s deliberate targeting of Palestinian civilians in Gaza. The council called on the international community to assume responsibility for stopping the violence and protecting the Palestinians.